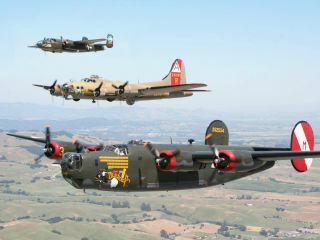 The Frontiers of Flight Museum will host the Wings of Freedom Tour, a once-in-a-lifetime flying experience and exhibit. The tour will bring extremely rare bomber and fighter aircraft to North Texas for a local living history exhibit. Guests will also have an opportunity to “fly into history” by taking a flight aboard these legendary aircraft. 30-minute flights on either the B-17 or B-24 are $425 per person, while P-51 flights are $2,200 for a half hour and $3,200 for a full hour. Admission to the Museum is $12 for adults and $7 for children under 12.